We know how to create great sound in the studio and we realize that it starts by capturing great audio in the field. We’ve worked on films, documentaries, commercials, corporate marketing, guided audio tours, on-street interviews and more. Our package is comprehensive, the gear top-of-the-line, the operators are skilled and easy to work with, and our rates very reasonable. Let us know what we can help you with! Location and Post packages available. NP1 Battery system with PSC Powerstar Distrobox for long days without power. Boommate; headphones, camera feed-cables, clap slate, cables, Lav accessories, Hush Heels, etc etc. 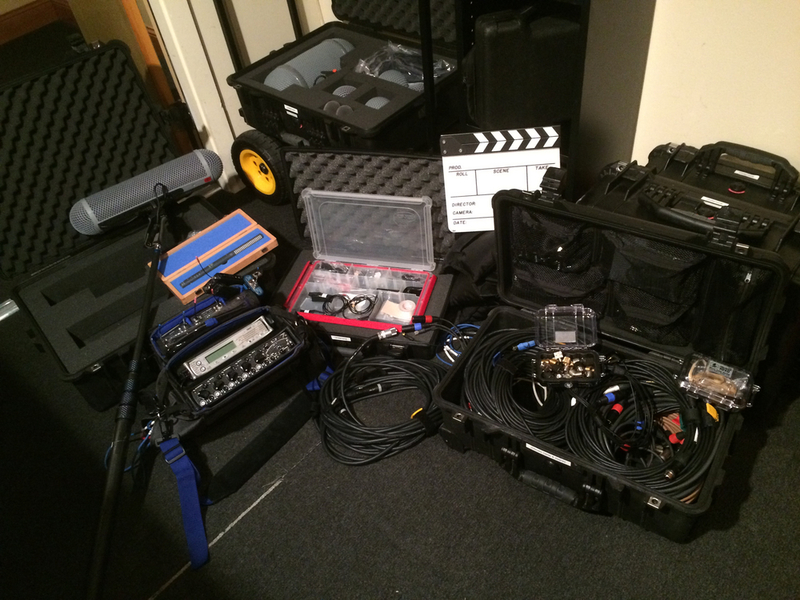 Basic package (1 Lav & 1 Boom, 1 person) $750/day. Basic Plus (2 Lav & Boom, 1 person) $850/day. Deluxe (4 Lav, 1 Boom, 1 person) $900/day. Super Deluxe (4-6 Lav, 1-2 Booms, 2 people) $1100/day * Or Call to discuss.